MG MGB GT V8 rally car, year 1975. Chassis number G-D2D1/229X-X, Engine number 4860/192X. 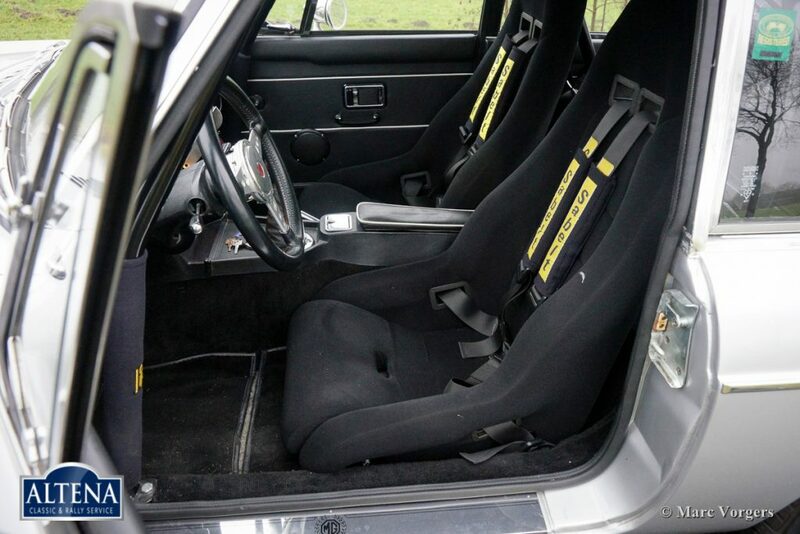 Colour silver metallic with a fully prepared black rally interior. 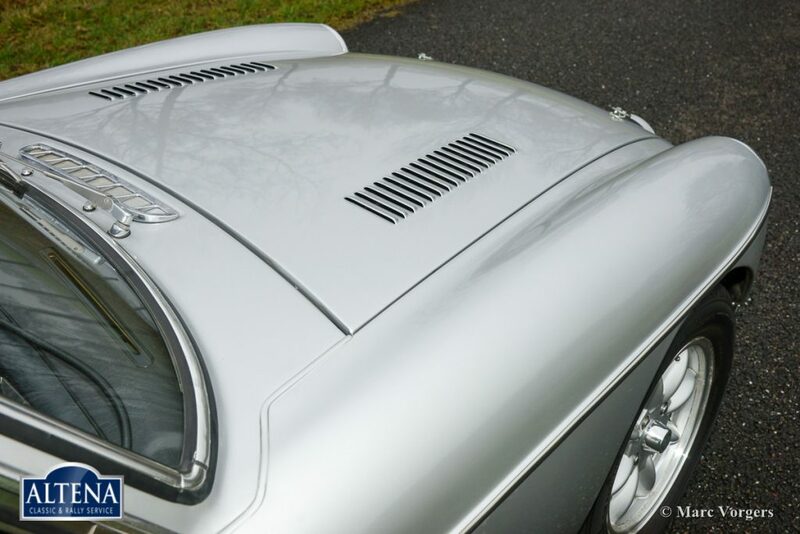 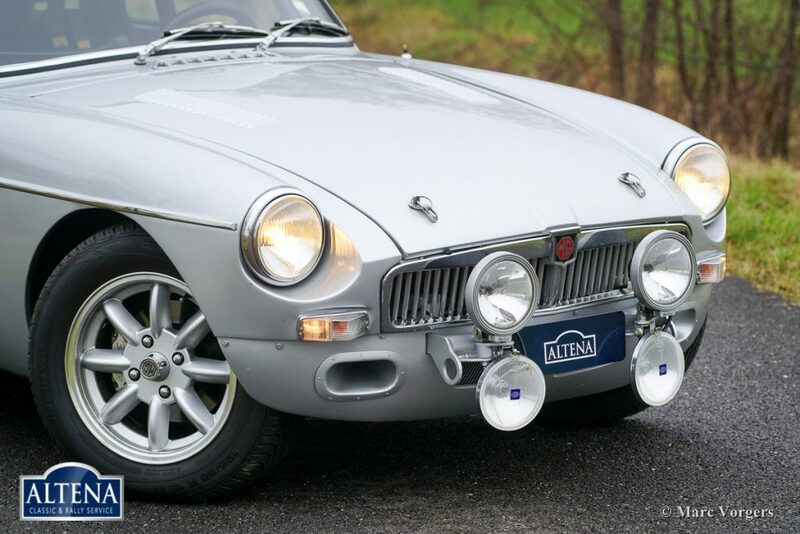 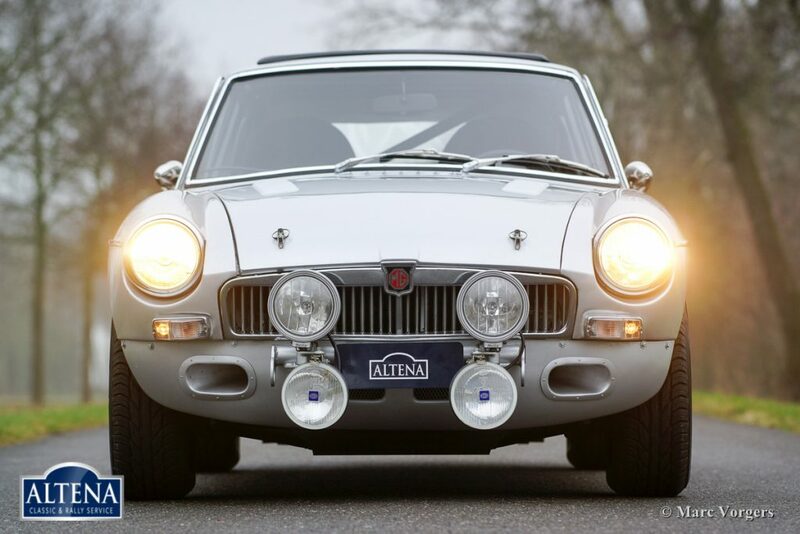 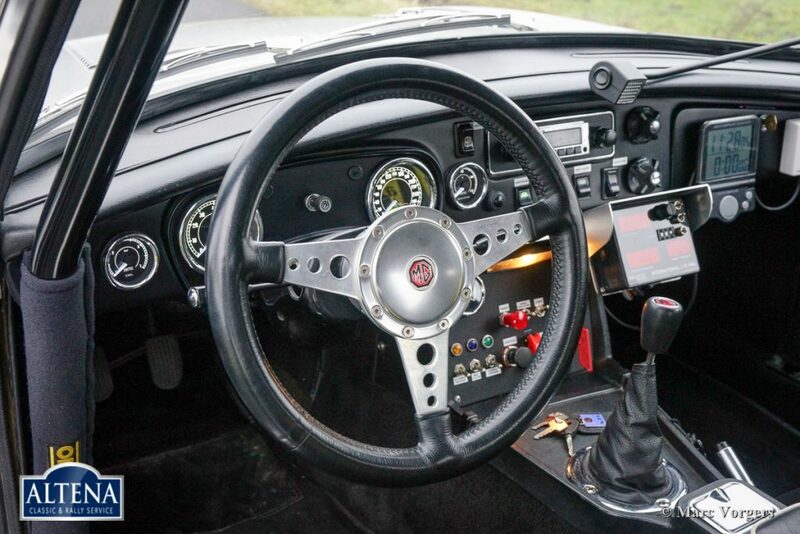 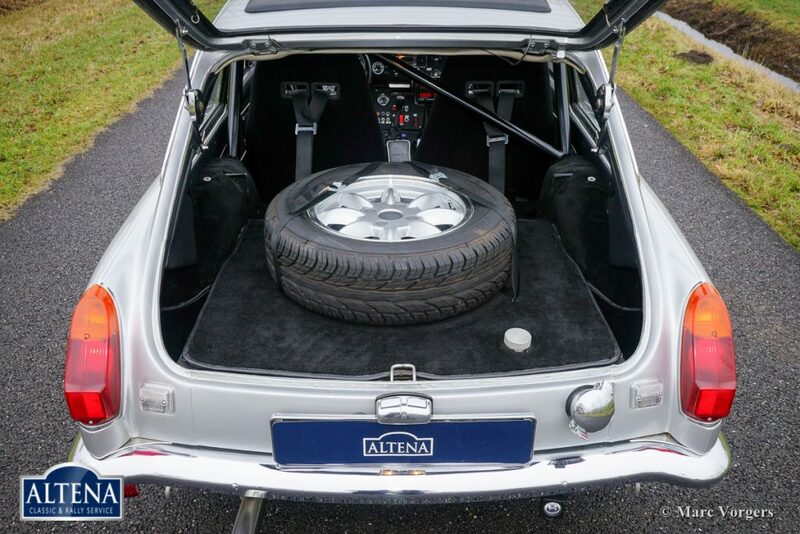 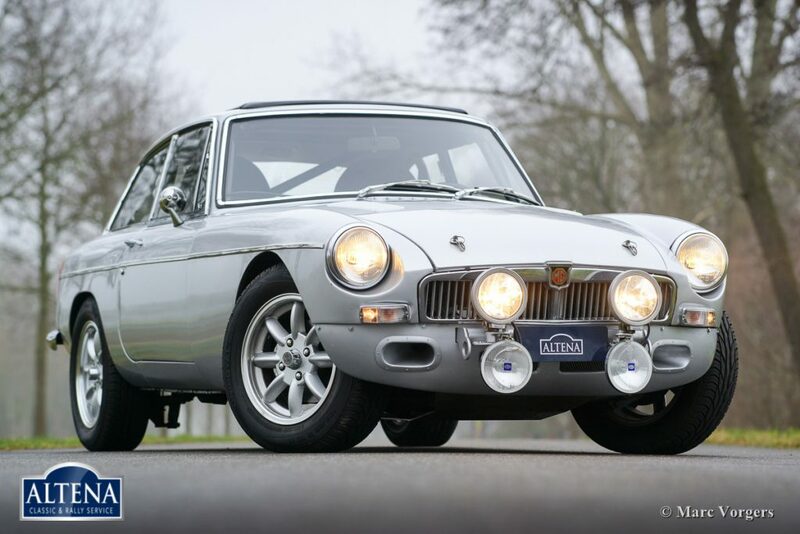 This magnificent MGB GT V8 has been fully rally prepared by the experienced team of Altena Classic Service. 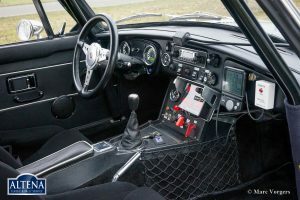 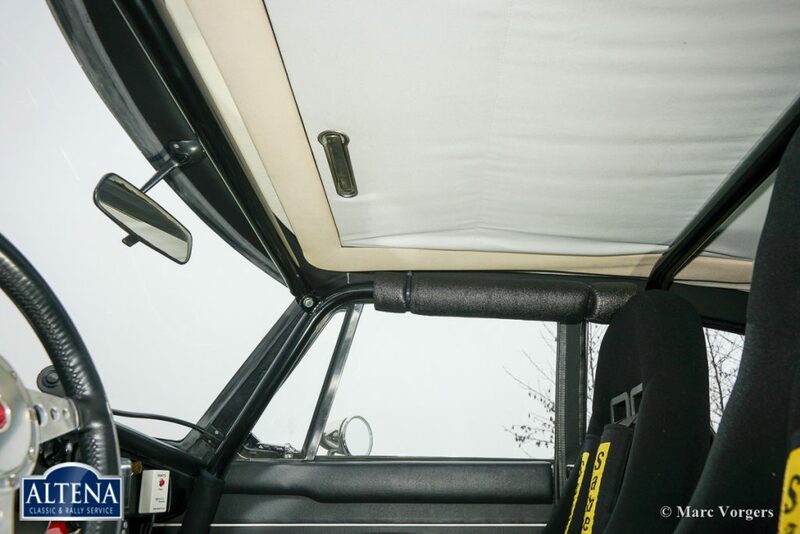 The result is a rugged rally car with reliable mechanics and electrics, a clever interior layout, and superb road-holding. 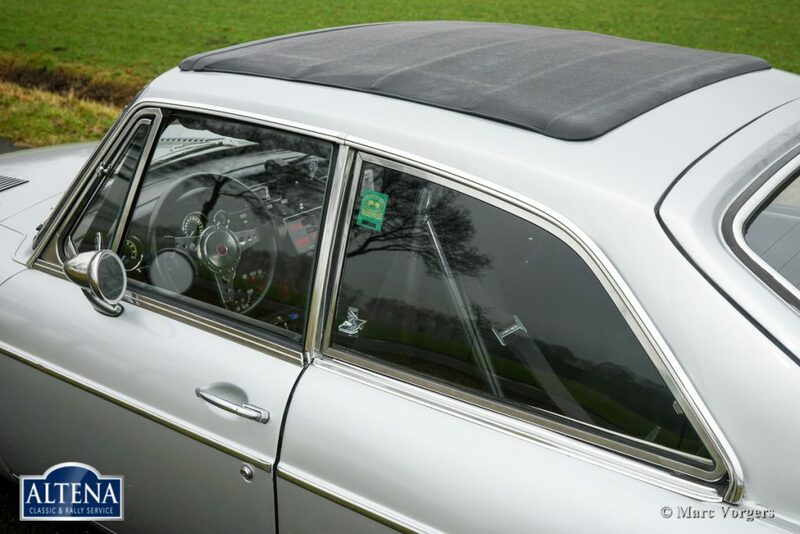 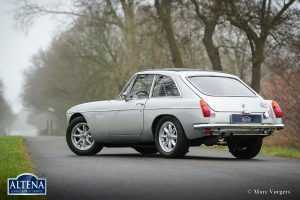 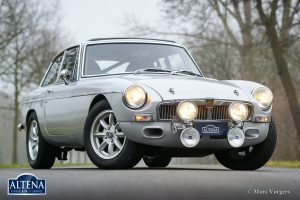 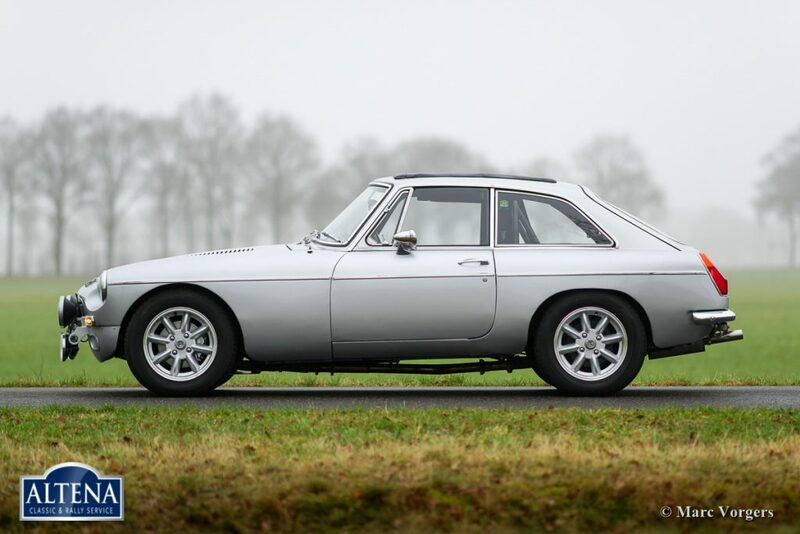 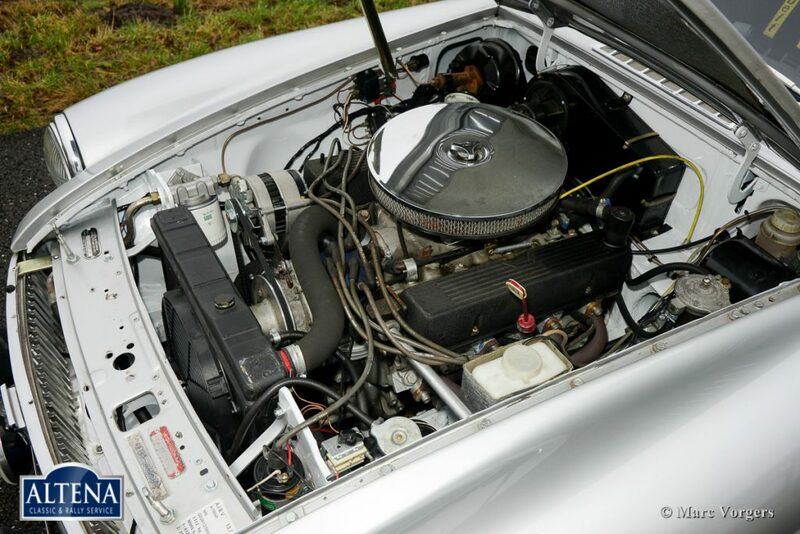 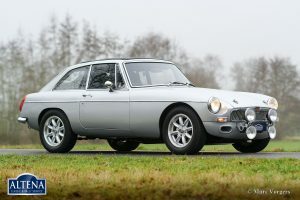 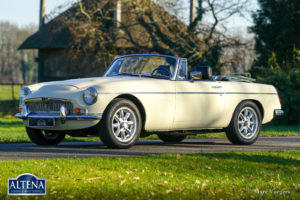 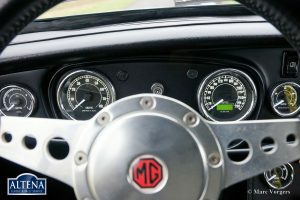 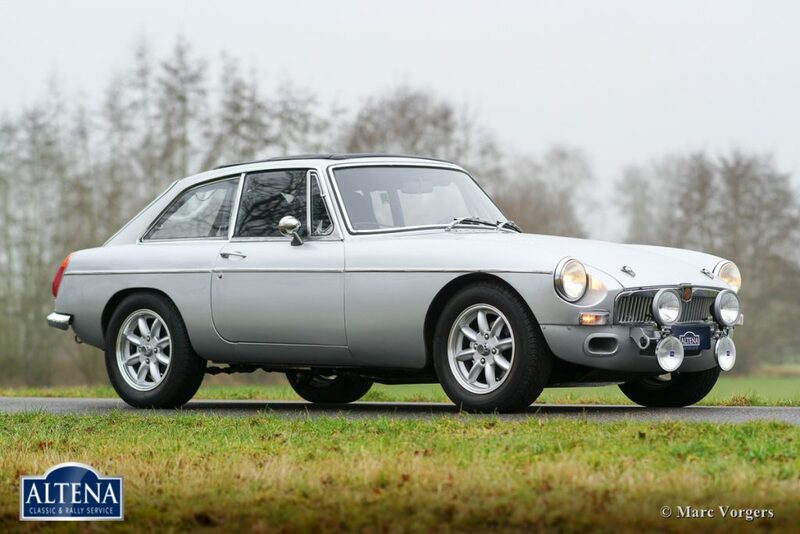 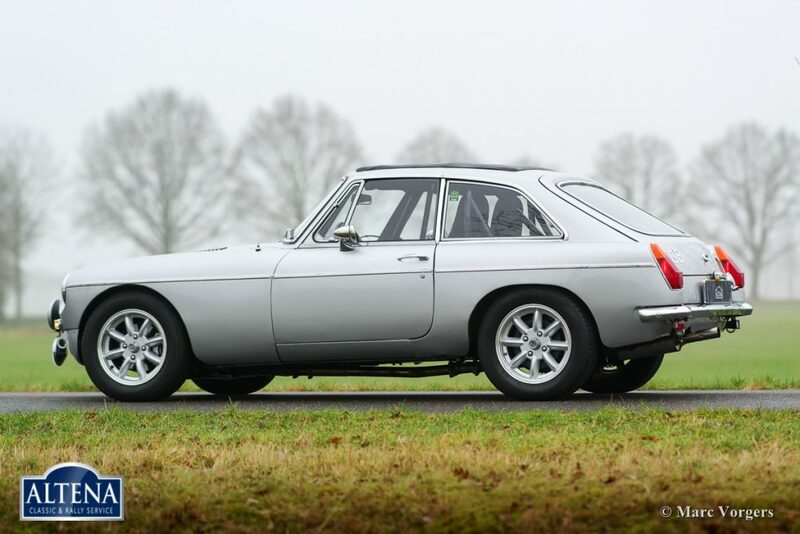 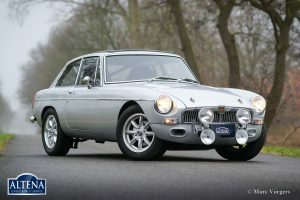 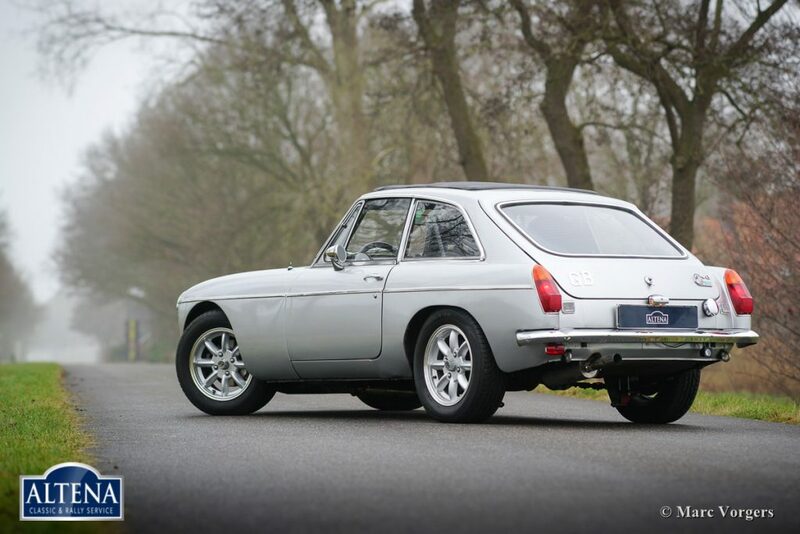 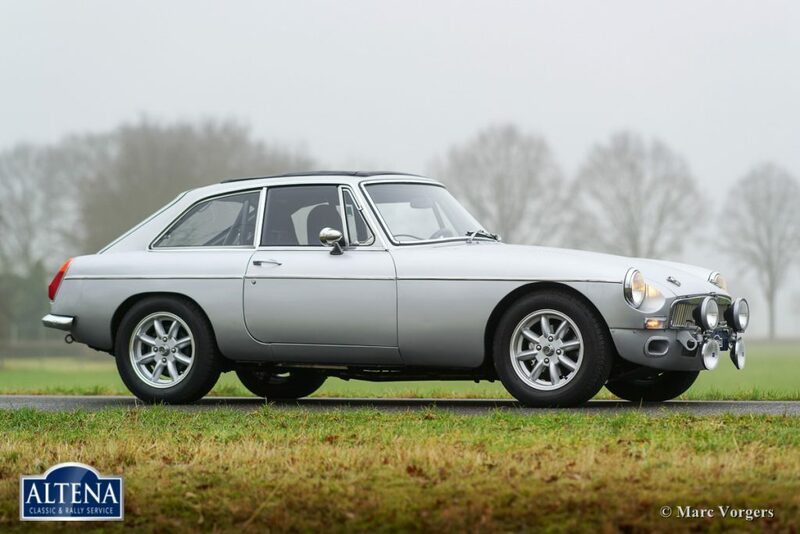 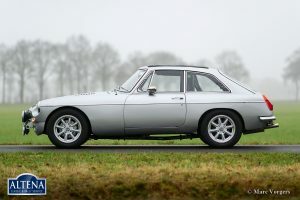 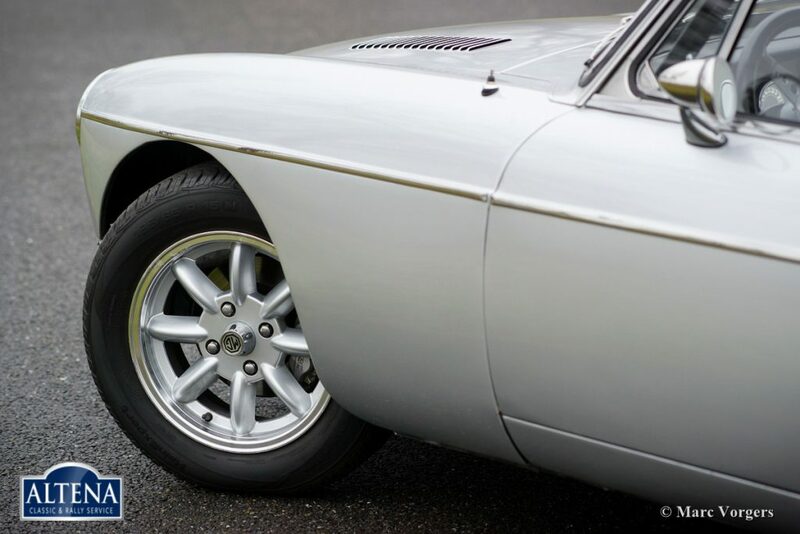 The MGB GT V8 is powered by the magnificent Rover 3.5 litre V8 engine. 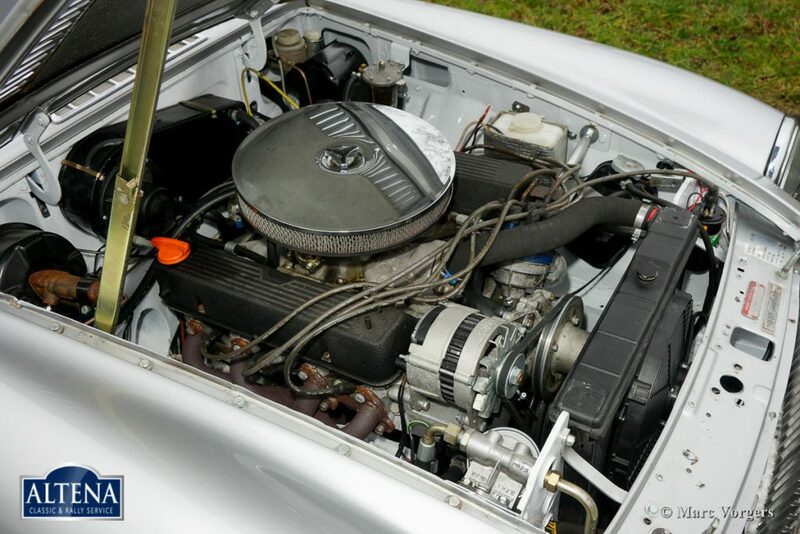 The engine is fitted with a Edelbrock ‘four-barrel’ carburettor. 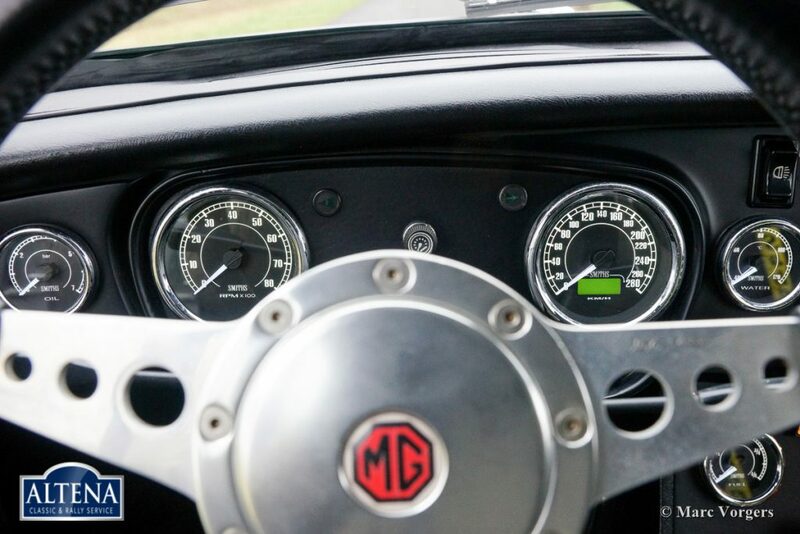 Dyno test power-output is 192 bhp and a torque of 300 Nm. 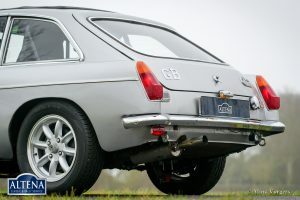 The power is transmitted to the rear wheels via a five-speed gearbox to a stronger rear-axle with a Quaife limited slip differential. 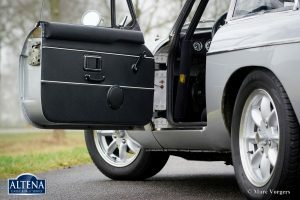 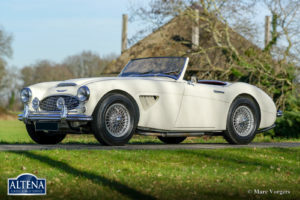 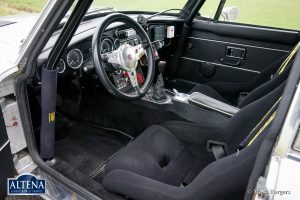 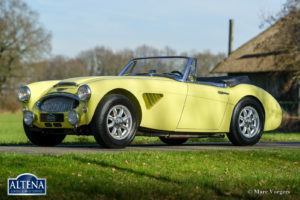 Other modification and improvements: oil-filtre modification, 5-speed manual gearbox, 4-pot disc-brake callipers at the front wheels, adjustable shock absorbers all-round, full roll cage, Ridgard sports bucket- seats, Sabelt 4-point safety harnesses, a Webaso sliding / folding roof etcetera. 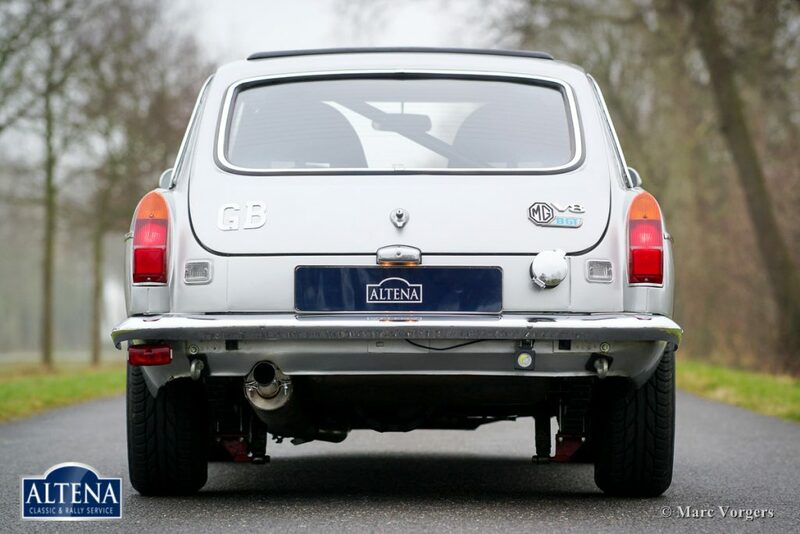 This magnificent rally car is in excellent condition, a FIVA identity card is present, and the car is ready for any challenge!